Humans from all over the Northern Hemisphere have always been fascinated by the Northern Raven, including us. In turns revered or despised, this large, black songbird has rarely left anyone indifferent! In North America, it held a central part of many Indigenous myths and traditions, depicted as a trickster, a healer, a messenger, a teacher and even the creator of all life. 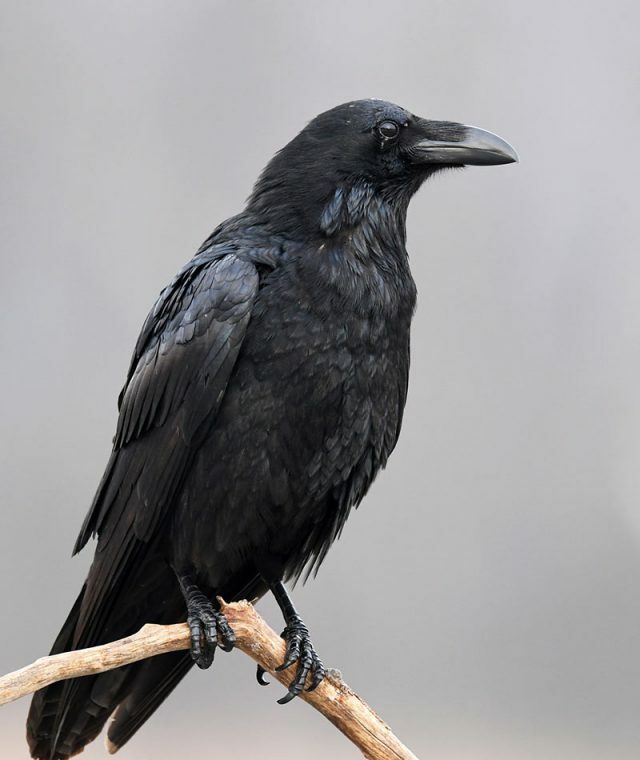 But when Europeans came to these shores, they brought along their fear and superstitions about the raven, believing that this bird was preying on farm animals and destroying crops. Because of this, the raven had been exterminated from areas of Canada, including the southern Prairies! Since then, Northern Ravens have made a comeback, and are doing well in most of Canada. 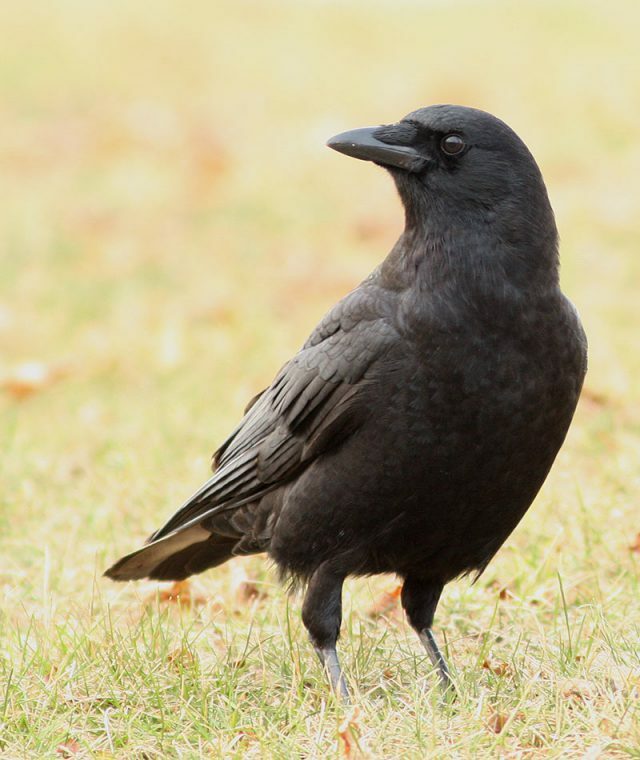 Because of this, many Canadians have observed these amazing birds before, but they can be easily confused with another well-known corvid (the crow family), the American Crow. The easiest way to distinguish the raven from its relative the crow is by its larger size. Ravens can have a wingspan of a metre and a half, but a crow’s is under a metre. The raven has a wedge-shaped tail when spread, while the crow has a fan-shaped tail. If you observe them from up close you may notice that the Raven has a much thicker bill and a ruff of throat feathers called “hackles”. But other than its striking appearance, why has the raven always stirred up such strong impressions? While these cosmopolitan birds are known to inhabit all sorts of habitats — forests of all types, grasslands, mountains, coastlines, deserts and even the Arctic tundra! — they live quite comfortably alongside people, in our towns and cities. Ravens also have a very diverse diet, eating just about anything they can find, from plant matter and invertebrates to eggs and other animals. They even scavenge carrion! Ravens are social animals, spending their adult life guarding their territories in mated-for-life pairs which may gather with others to socialize and hunt. 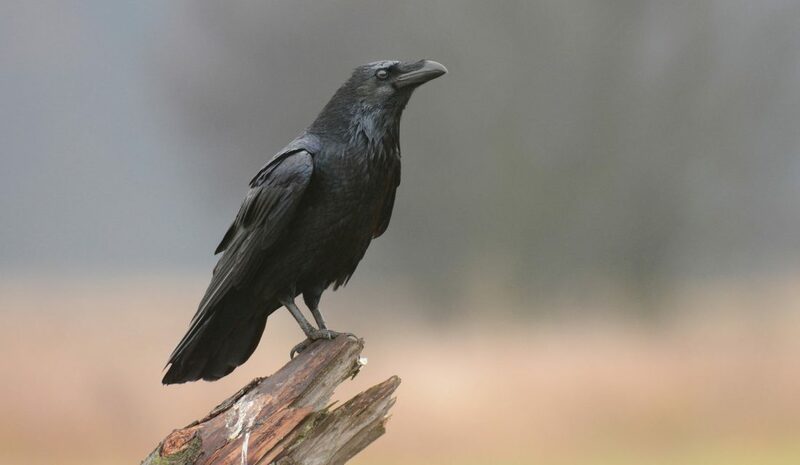 Ravens live for up to 20 years, rarely becoming a prey to other animals. But the most astounding fact about Northern Ravens is not their adaptability. 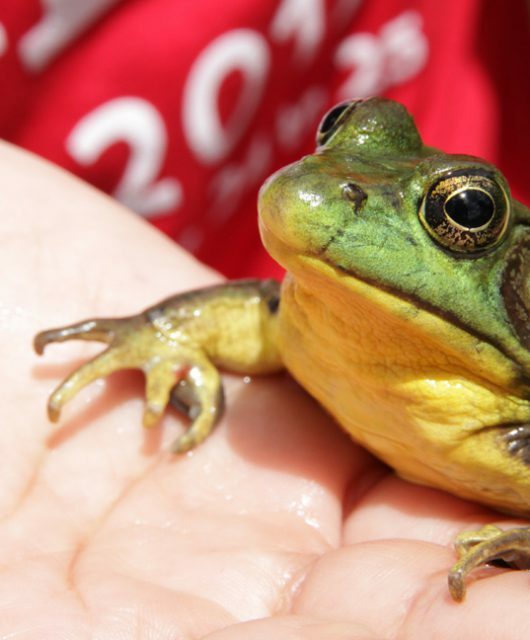 These birds are thought to be exceptionally smart animals! 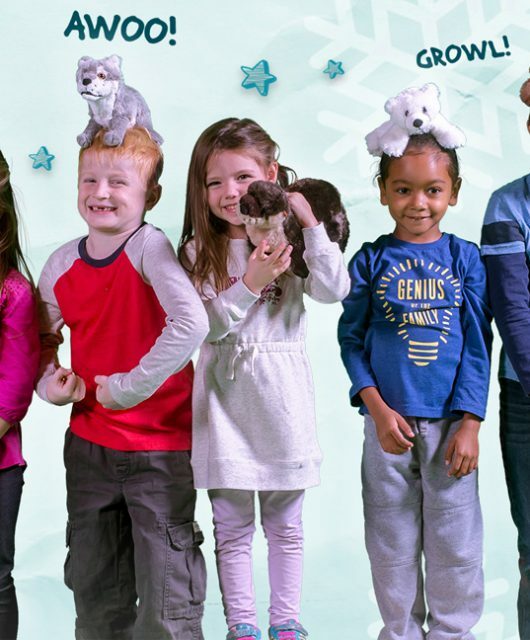 They are keen opportunists and excellent problem solvers, being able to use tools to get what they want. They learn by observing, and can even teach other ravens about what they’ve found out. As most social animals are, they are good communicators and are known for playing and even tricking other ravens. 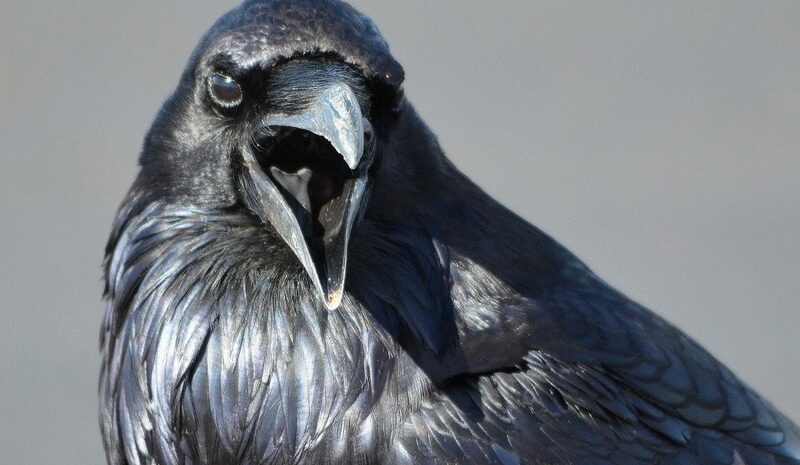 They also use a great variety of cries and calls (sometimes imitating sounds from their surroundings) in order to give information to other ravens. 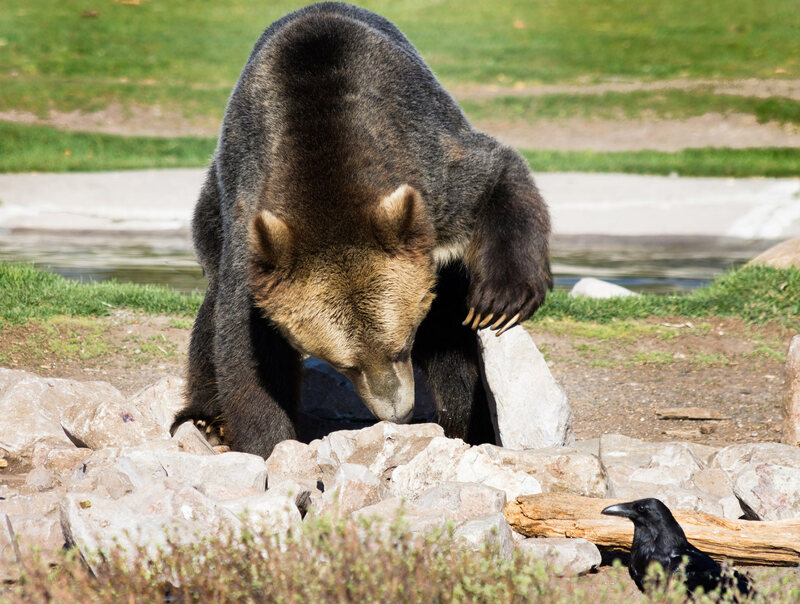 They even manage to interact with other species, for example calling wolves so that they kill a prey the ravens spotted and leave the leftovers for them to scavenge on! The more we study the Northern Raven, the more we discover how unique this bird really is. This, in itself, is enough to understand why our ancestors were so taken by it! 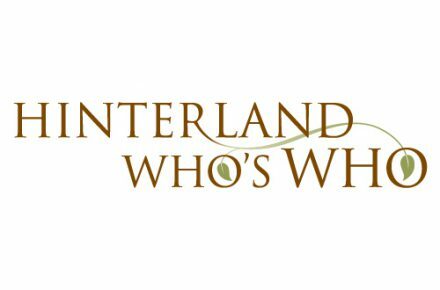 Find out more with the latest video by Hinterland Who’s Who, available soon! Very interesting. But I think its a bit of a stretch to call a raven a ‘songbird’.